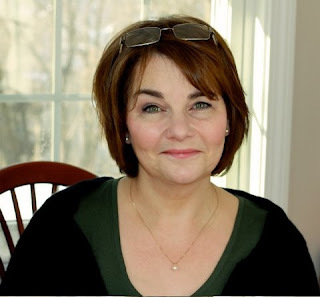 Blurb is a Verb: Randy Susan Meyers: Love me! Read me! Buy me! Randy Susan Meyers: Love me! Read me! Buy me! Writing a book takes a certain set of skills: intense concentration, imagination, the ability to read the same 400 pages time after time, and the fortitude to take criticism (excuse me, ahem, critique) without weeping. You must learn to shut out all noise at a given moment and you must love solitude. Anyone who had read the hysterical, but frighteningly close to the truth, New Yorker piece on promotion knows how much falls on the writer these days. (Surprisingly few readers know this; at a recent book club, members were shocked to learn writers did their own promotion.) Even if one has great and supportive publicists, much of the responsibility for getting that book read is on the writer. “You have to sell it one book at a time,” my agent warned me. The problem is this: except for the most ego-driven or ego-protected among us, it’s an unnatural position for most writers. We like working in pajamas. We like watching sentences unfold as ideas unfurl. We don’t like shaking our booties. But to sell, we must. This is the uncomfortable truth. If you want to follow your fantasy of writing and publishing, then you gotta shake that booty. You must learn how to sell without appearing crazed—because nobody likes the snake oil man. You must swallow your pride and put it out there—Look, I wrote a book! Want to buy it? —without coming across as greedy, crazed, or so entrance by yourself that people back away in horror. Usually I try not to use the XYZ Group for personal promotion. Please refrain in the future. Shame overcame me as my self-image went from energetic-information-sharer to self-promoting-hussy. I imagined whispers in the online hallways: Who does she think she is? God, enough, already. Will she ever shut up about that damn book? But they said I have to, I whine. Readers: Forgive us each day our daily shilling. It’s the only game in town these days. And if you have it in your hearts, and you like our books, please pass the word along. If you really love it, write a review on Amazon or B&N or Goodreads. You can’t believe how much it means. Writers: Don’t overdo it online. Talk about other books besides your own. Find a launch buddy or two. Or three. Someone with whom you can be as whiny and self-pitying as you need, someone who won’t judge you for it. BFF launch sisters and brothers. Make sure it’s someone you can truly root for and who will totally root for you. Know that sometimes she’ll be ahead of you. That’s okay—keep rooting. That’s what sisters and brothers do for each other. Most important, learn, learn, and learn more. And then remember, no one can do it all. When promoting, pick that which excites you, or at the very least, engages you the most. Passion attracts. Sullen shuffling, not so much. For finding lists of festivals, ratings of review sites and much more visit Preditors & Editors and finish by reading this New York Times essay on book promotion where you’ll get the historical perspective and learn that even Walt Whitman had to shake a bit of booty. Randy Susan Meyers is the author of The Murderer’s Daughters, released by St. Martin’s Press in January 2010. Her family drama is informed by her work with batterers and victims of domestic violence, as well her experience with youth impacted by street violence. 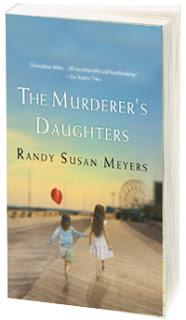 The Los Angeles Times deemed the books, “A knock-out debut.” The Murderer’s Daughters was recently chosen the Target “Club Pick” for February/March and chosen as a Massachusetts Council for the Book as a “Must Read.” The Murderer’s Daughters was just named a finalist for the Massachusetts Book Award. Thank you Randy! Do you offer a diploma for the "SMB?" Sarah, thanks for posting this. And I will personally tweet for your book when it comes out. Great post, Randy! Lots of great resources -- I think I need to put it on Facebook. Until I started book blogging, I did not realize how much writers had to promote their own books. I always thought that it fell to the publishers or a publicist type. Self-promotion of any kind is always so hard! Fantastic post, Randy. Thank you. Again, Sarah, I love this blog! Fantastic post Randy! I've quoted you on my Facebook page - "If you want to follow your fantasy of writing and publishing, then you gotta shake that booty." Brilliant! Louise--I love that quote too!